A National Youth Service Corp member is currently engaged in an active illicit s*xual relationship with a married woman who he thinks he’s in love with. 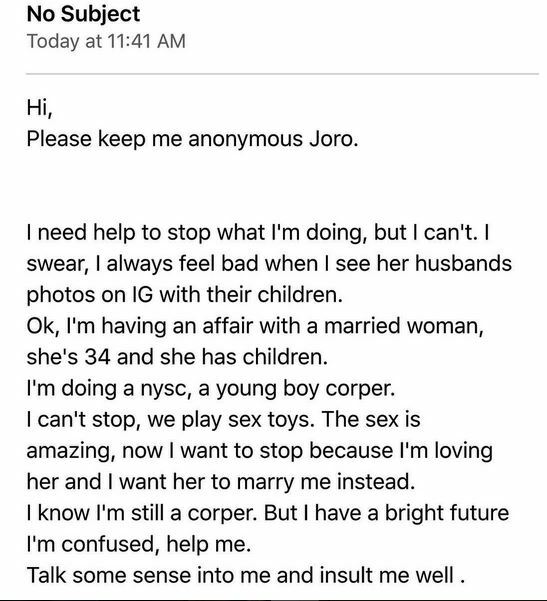 The young youth corper sleeping with an old woman who is 34 despite being married with kids is seeking advance on his feeling for her. He has written to Joro Olumofin for advice.